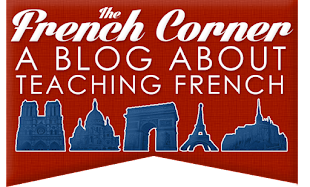 A great way to practice your French is to spend some time at sites done completely in French. Yahoo! France - The French version of Yahoo. This is a great way to find out news in French or find sites in French. In addition, you can get your email at yahoo.fr - completely in French! Amazon.fr - The number one resource for all sorts of entertainment in French. Granted, the shipping price is a little hefty and you better know your French before you make a credit card transaction online here, but in the end it's worth it. Lots of French materials that aren't available in the States can be purchased here. Just a tip: don't buy any videos or DVDs, theytypically won't work in American players. TF1 - A newsy variety site based on the French TV channel of the same name. This site furnishes the webcam of Paris, but it also has news, videos (some quite amusing), shopping, and other fun things on it. Fnac.com - Another great entertainment online shopping center. This site won't ship outside of France, but there are more opportunities to sample the music than there are at Amazon.fr. Académie Française - The official site of the Académie Française, which includes a list of new additions, and an opportunity to buy some of their dictionaries. Paroles.net - The first place to look for lyrics to French songs. In addition, a great place to find ringtones for your cellphone (unfortunately, however, they are not polyphonic). Le site officiel de la Tour Eiffel - This is a super page with everything you'll ever want to see and know about the Eiffel Tower, Paris' biggest and brightest monument. There's galleries, a 360-degree view, games, and practical information about it's inside accomodations. Monum' - Monum' is the center of national monuments of France. You'll find information, pictures, games, and more, about your favorite châteaux and momuments all over France. It's all very nicely put together with your choice of a flash or HTML layout. Culture.fr - This site refers to itself as the portal of French culture. If there's something in France you want to know about from architecture to zoos, it can all be found here. TV5 - This is a great site to learn about French music because there is a full analysis of 100s of popular French songs on this site, with vocabulary, lyrical analysis, and comprehension questions. There are also videos, games, and a plethera of other fun things to look at. 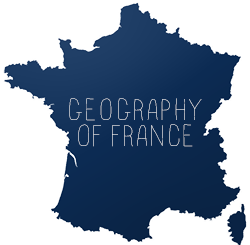 Recoins de France - A great site with recipes and tourist information for every region of France! The adorable illustrations are great too! Elysée.fr - The official site of the French government, comparable to our Whitehouse.gov. Find out everything you ever wanted to know about President Nicolas Sarkozy and the French government straight from the source. La bande à Sylvain et Lulu - A fun interactive site in French.